The value of a book, a song, or a work of art extends far beyond the price you pay for it. At least, that is our hope. That the goal is not racking up the sales, but in extending the message, the conversation, the potential of the words in the pages, or the ideas in a song or painting. To me, the sale of a book is the start of an interaction, not the end of it. That we must look beyond sales charts. That inherently, this is about relationships and what we create together. Next week, I am attending five events in New York City, all on the topics of publishing and writing. One is a panel I am a part of for the Tools of Change Conference, that explores the economics and outcomes of a local literary economy. In other words: how can we incur value from a community engaging with books and all that is held within them. 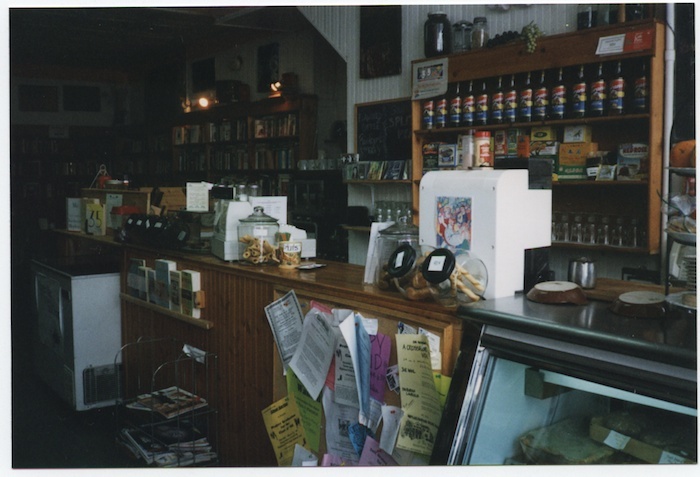 Preparing for the session had me thinking back to the days when I managed a small bookstore cafe that also served as an event space. The weekly poetry readings regularly had people spilling onto the street because they couldn’t fit inside. Back then, in the late 90s, the internet was slow and not yet an alternative or replacement for what we would do in real life at a cafe or in a bookstore. The conversations that came up were not around bestsellers, not around author tours, not about pushing merch. It was exploratory. It was revelatory. It was, at times, argumentative. It was serendipitous. Leaving an open book on the counter would spark a conversation more often than not. In a way, my experience with this bookstore cafe seemed to mirror where the internet was taking us. For my life, the web has better connected me to people I am inspired by, people I want to have coffee with. It wasn’t about the sale of a book, but the conversation around a book. What I love is that the conversations I begin next week can be extended via social media and online connections. And once next week passes, and these events are memories, I can STAY connected with the individuals I meet. No, it’s not the same as being in the same small cafe with them everyday. But then, I find I am meeting a wider range of people nowadays, and connecting with them wherever they are in the world. I have been thinking a lot about this word: capacity. How, through books, ideas, information, art – we increase the capacity of what we can achieve, either individually or as a community. Too often, we talk about writers and readers as two different types of people. But they are really part of the same process of creation. Yes, a writer creates. But when you read a book, when you learn, when you become inspired, that filters through you and affects your own actions and creations later on. That the connection between writer and reader – the relationship – is something we need to encourage. That for a writer, a book’s life begins with an idea. From there, they begin writing, and eventually publishing. For a reader, the process is the same. Their connection to the book BEGINS when it is purchased and read. We can be doing more to connect around these idea and expand our capacity to create. That is what I am hoping to discuss at these events next week, and extend online beyond them.